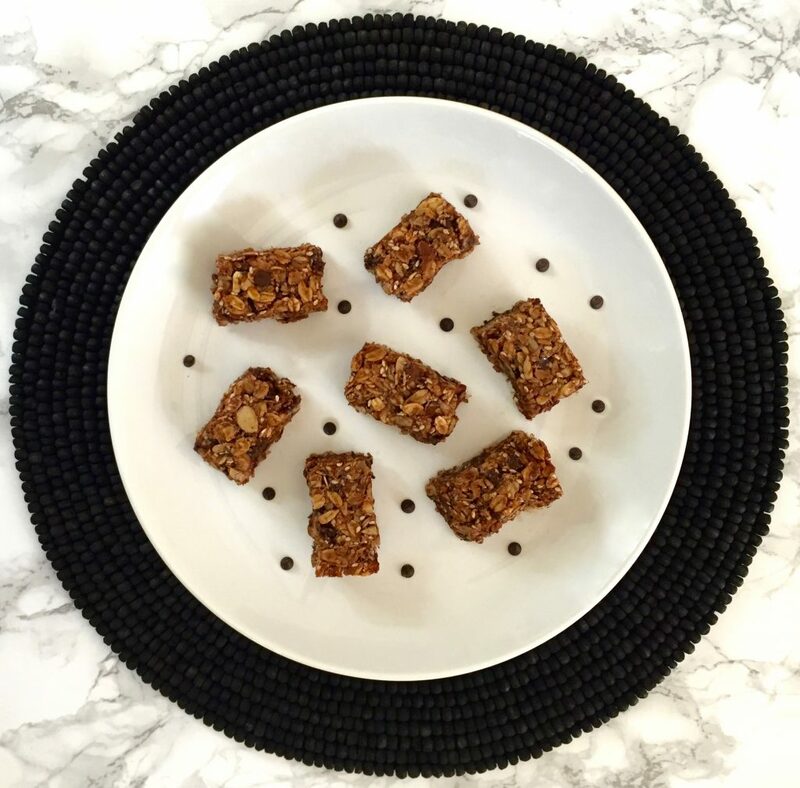 Granola bars are an easy, nutritious and portable snack. But most store-bought bars are full of refined sugars, partially hydrogenated oils and fillers which will only lead to weight gain and other health issues. 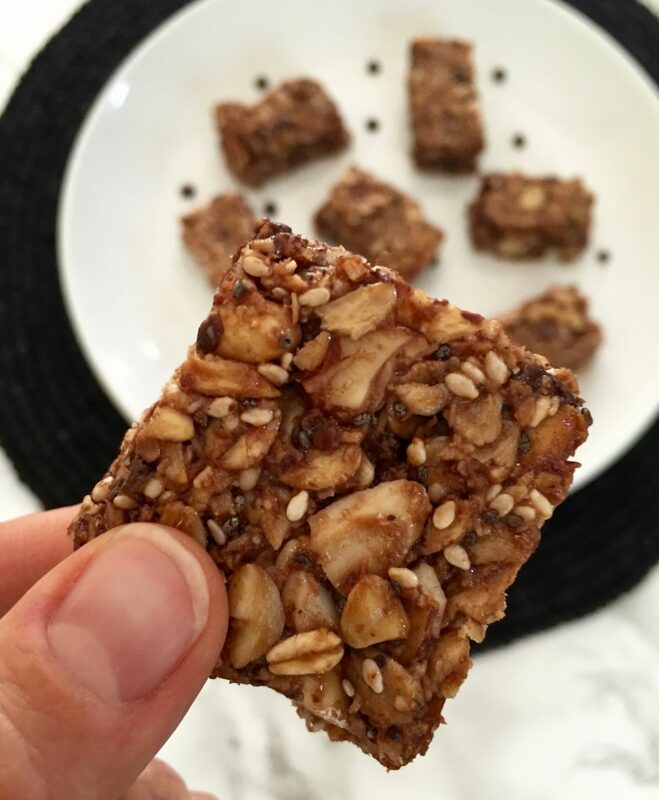 I have created a gluten-free granola bar that is easy to make and will satisfy your cravings without the added unhealthy ingredients. If you are an active person it is important to get the proper nutrients after a workout. 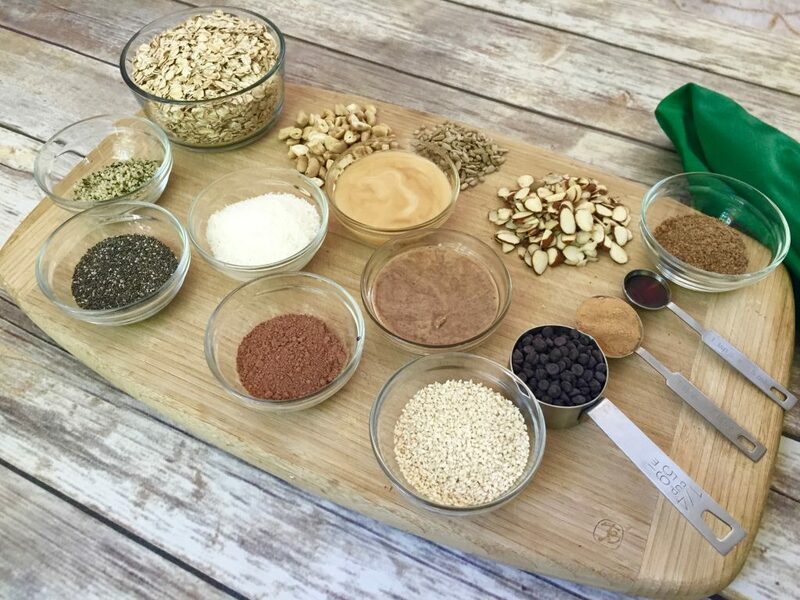 Granola bars are easy to make and a great way to satisfy your dietary needs. But the best way to ensure what you are ingesting is healthy, organic and nutritious is to make it yourself! 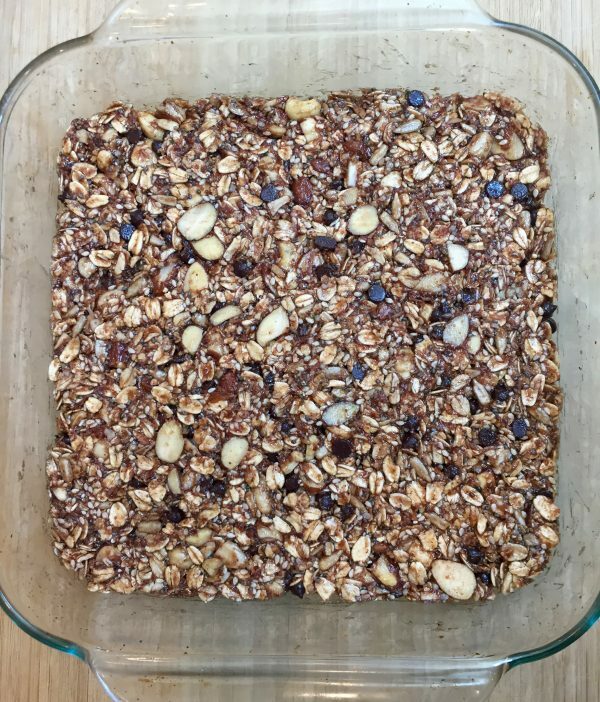 If you did not get a chance to read my last post on Easy Homemade Cinnamon Apple Granola Bars, I discussed the health benefits of gluten-free rolled oats, nuts and seeds, dried fruit, apples, hemp seeds, flax seeds, chia seeds and lucuma powder. I added most of these ingredients to my latest recipe. I also experimented with a different type of sweetener, plus added a few more healthy options. Coconut – has a numerous amount of uses from cooking to skin care. It enhances the flavour of a dish, it is high in fiber and contains manganese and copper. An added bonus it can also withstand high heat when cooking. Coconut oil is rich in medium-chain triglycerides, which are made up of healthy fatty acids. This is said to help aid in improving overall body-weight levels and increases fat loss compared to other oils. Always buy cold-press and unrefined coconut oil because it retains all its nutrients. Raw Cacao Powder – an excellent way to achieve the rich chocolate taste without the added fat. It is also a great source of antioxidants, flavonoids, magnesium and a natural mood booster because it contains anandamide; a neurotransmitter that has been isolated in cacao, and is released naturally in the brain when we are feeling happy. Mesquite Powder – is made from the dried seed pods of the mesquite tree, a common in South America. 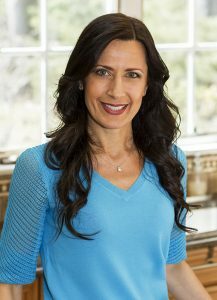 It is gluten-free and low on the glycemic index, which can help to keep blood sugar controlled. Mesquite powder has a rich, nutty, smoky, molasses-like flavor, with a hint of caramel. A great source of fiber and potassium, zinc, calcium, and magnesium. Raw Honey – has several health benefits. Honey is a natural antiviral, antibacterial, anti-fungal wonder ingredient. It adds a pleasing, mild sweet flavor to the bar. 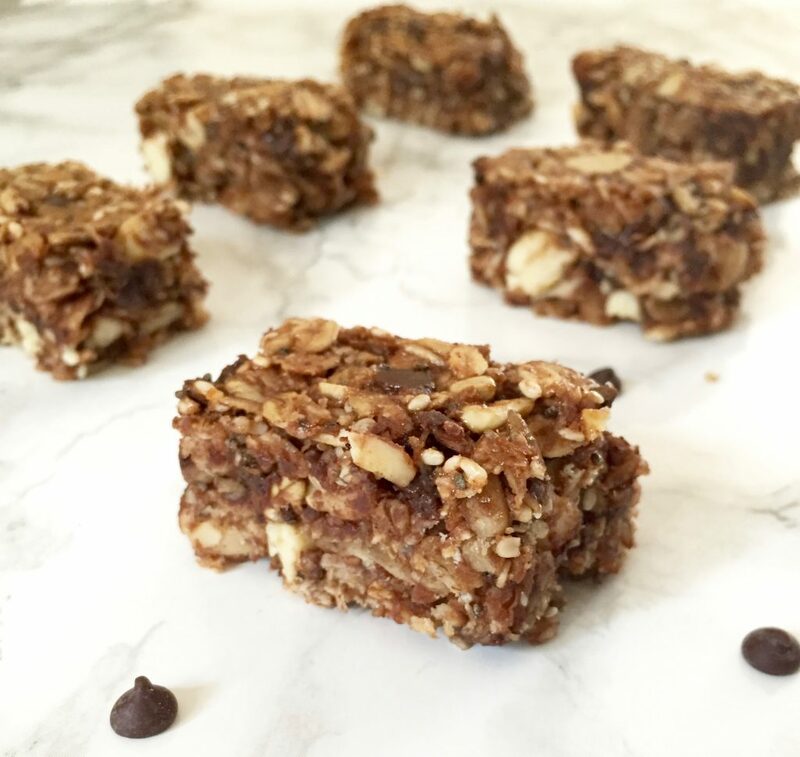 You should definitely try this recipe next time you are looking to make a healthy snack! 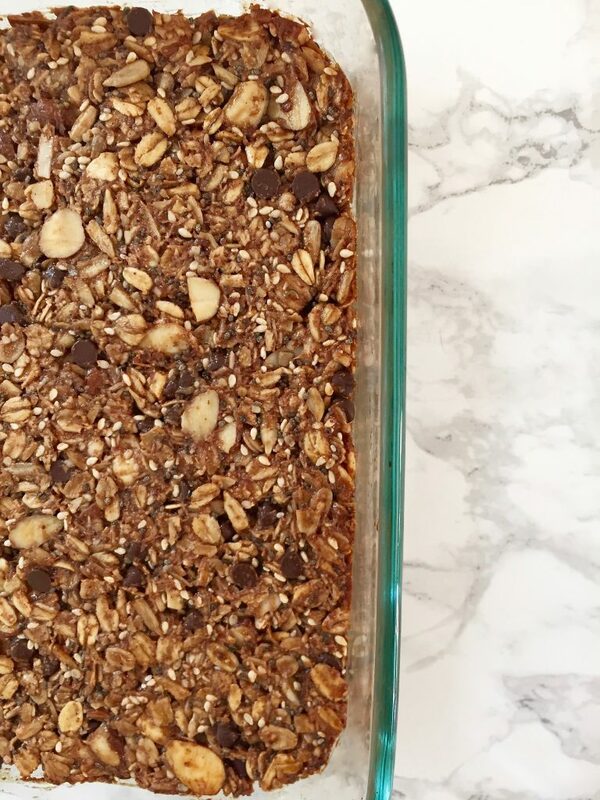 This granola bar will make a much better option than a store-bought brand. Looking for something healthy and nutritious to snack on? 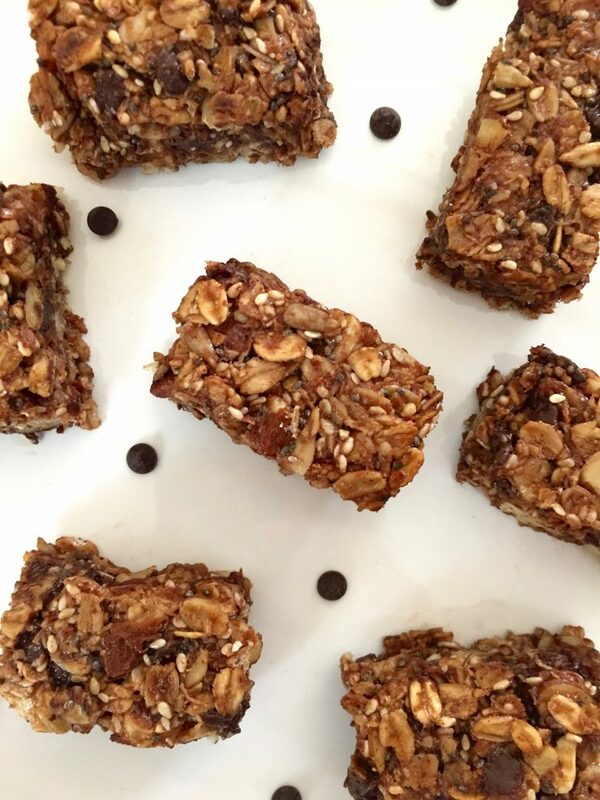 These granola bars will do the trick. 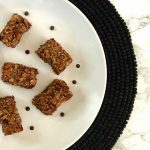 Gluten-free and vegan, this treat will not only satisfy your hunger, it will also fuel up your body and give you the energy you need until your next meal. 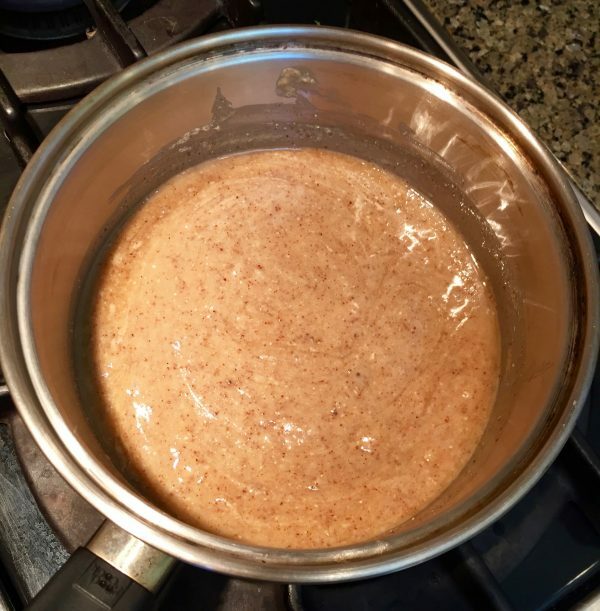 To make the flax meal egg, mix the flax meal and water together in a bowl until it becomes a yolk like consistency. Set aside. 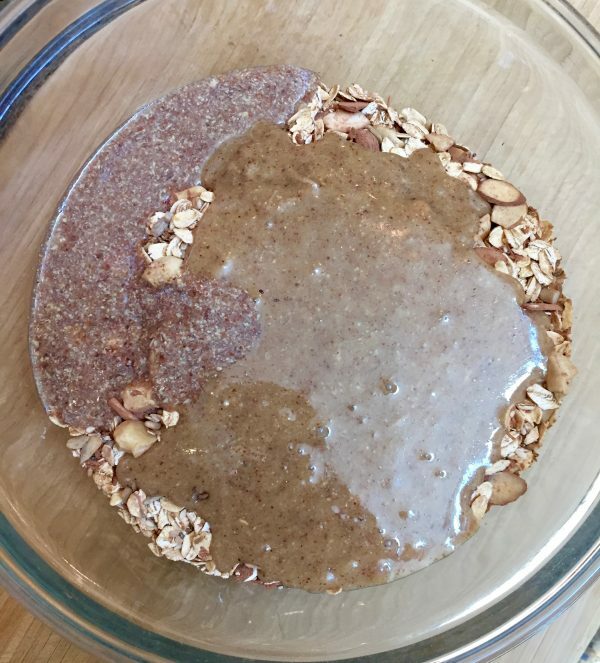 Combine all dry ingredients in a bowl except flax meal egg, coconut oil and chocolate chips and mix them together. In a pot add honey, almond butter and vanilla extract. Mix frequently over medium/low heat until all the ingredients are combined. 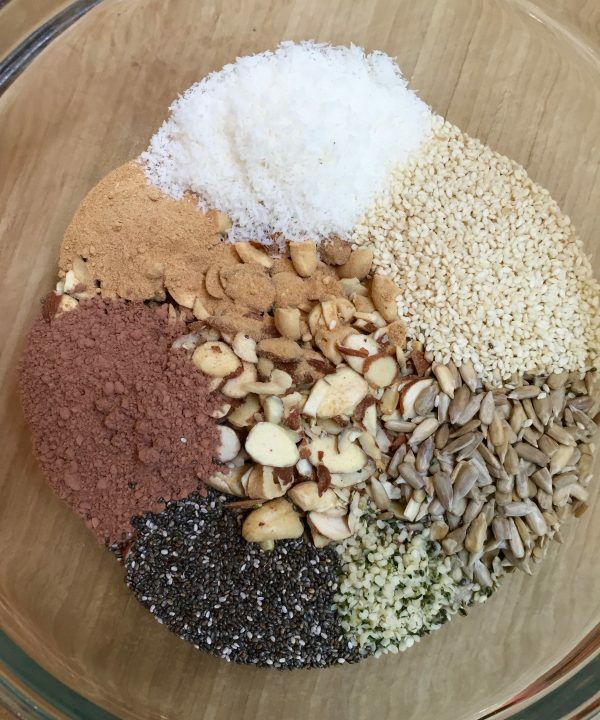 Add the wet ingredients, including the flax meal egg and coconut oil, with the dry ones and mix them all together. Let cool a little before adding the chocolate chips because they may melt. Pour the combined ingredients into pyrex, preferable a square 8x8in size and smooth it down with a spatula. Bake for about 15-20 minutes until light golden brown. Do you read the ingredients when buying granola bars at the supermarket? Have you ever used mesquite powder? I’m happy to help and I am glad to hear you will try mesquite powder! Looks like a great snack for my father who has diabetes and a sweet tooth! Unfortunately honey is not recommended for diabetics:-( You could try to use stevia! Looks fantastic! I’ll be trying these Thanks. Thank you so much! They will love it.